Romhacking.net - Review - The game is fairly decent, but NOT GOOD ENOUGH! The game is fairly decent, but NOT GOOD ENOUGH! Diddy64wii had very good points in the review about this game and I played it myself. 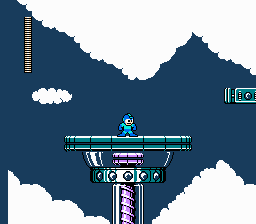 It’s no surprise that this game has bad level design than Rockman 4 EX and yes I am serious because Rockman 4 EX is way too hard but I may change my review on it if I gave it a second chance. 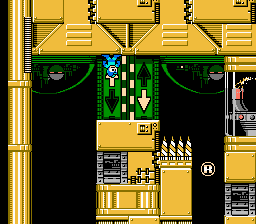 As for Gravity Man’s stage, the Yoku blocks requires trial and error which is atrocious. Whose good idea to put the Yoku blocks next to the gravity with the spikes which I died from several times even with savestates it doesn’t really help. Spoiler ALERT! 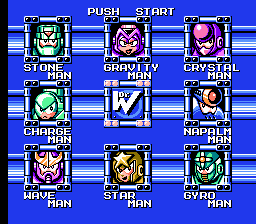 Who would’ve guessed that one of the special weapons like the Super Arrow has a weakness chain to the regular 8 bosses? 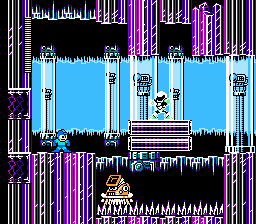 Oh and the Gravity Hold is unaffected to all 8 bosses including fortress bosses and it means nothing other using it to clear a room full of enemies? 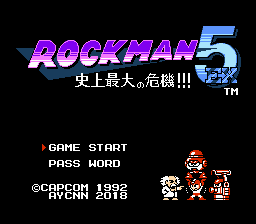 It’s not as broken as Rockman 5 Air Sliding’s Gravity Hold weapon but it’s not really much of a use. I do enjoy this hack and I played it from start to finish but it’s such a shame that I’ll have to cheat to navigate the game. As for hardware console players, good luck trying to beat the game!